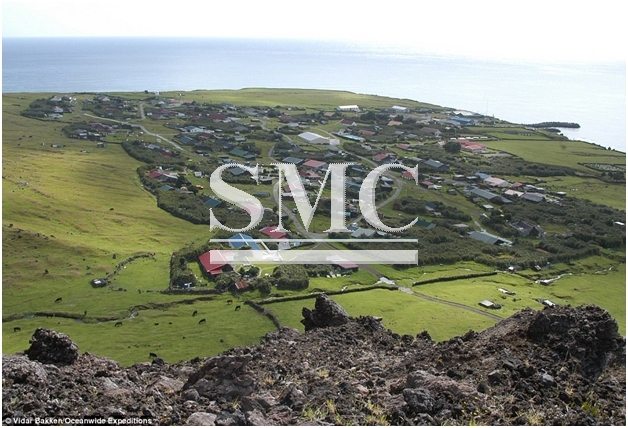 Tristan da Cunha is a British overseas territory and is the name given to the world’s most remote inhabited island. Saint Helena is the closest form of inhabited land, located 2000km away, South Africa is 2400km away and South America is 3360km away… you get the point? It’s quite isolated. The population of this 98 sq km island is 265 people; these 265 peoples can only be accessed by boat for 60 days a year, due to the conditions of the sea and the limited facilities of the harbour. Therefore, it is quite important that the people of these islands utilise the space as efficiently as possible and have the means to be self-sufficient, step up UK firm Brock Carmichael Architects who have won a competition to re-design the island. The competition sought ideas to create a more self-sustainable future for Edinburgh of the Seven Seas, the main settlement on the islands. The outlined brief of the competition was to generally improve the living standards of residents, through the use of advanced residential properties and systems in which to improve the grazing of animals and the quality of crops. • Javier Terrados and Fernando Suárez (Seville). The project is going to see the architects sail 10 days from Cape Town on their adventure to improve the lives of the world’s most remote inhabitants. Martin Watson, partner at Brock Carmichael, said: “We’re delighted and honoured to have been chosen as the winners of this unique competition and would like to pass on our thanks to the people of Tristan for selecting our team. It’s good to see that in 2016; even the most unlikely of sources get to experience the advances in technology and construction to improve their own level of efficiencies.